In the movie Mr and Mrs Khiladi, Akshay Kumar and Juhi Chawla swore their love for each other by singing “Jab tak rahega samose mein aloo..”. Not surprising at all, since samosa is one of the most widely eaten snacks of our country. The crunchy, fried crust and the sumptuous filling make samosas a hot favorite among us Indians. 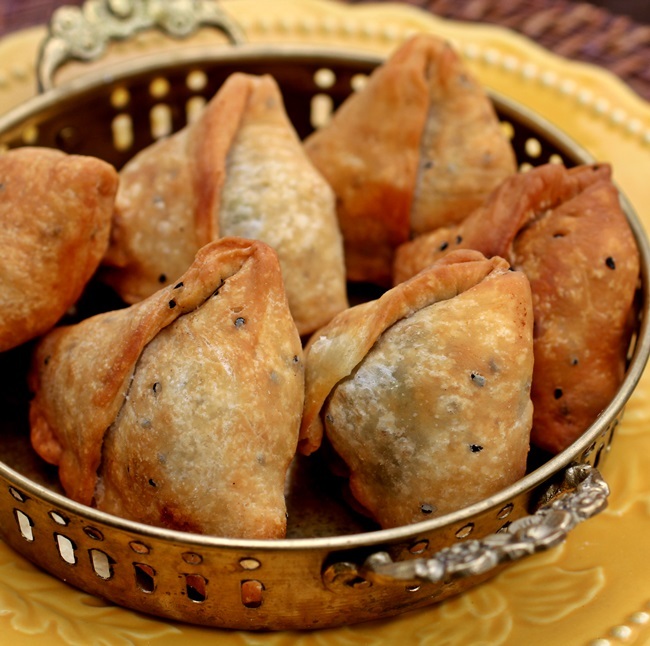 Samosa was brought to India with the Mughals, and it is said to have originated in Persia. But with the passage of time, Indian food has become synonymous with the crunchy Samosa. The typical Indian samosa filling is of mashed boiled potato, onions, green peas, lentils, spices and green chili, or fruits. But what are the other types of fillings and other snacks similar to samosa? Lets find out! Who doesn’t like a crunchy samosa with pudhina chutney? Sambousek: A Decadent Cheesy Pleasure! This samosa is very cheesy! Sambousek is a Lebanese dish which is like a samosa filled with either meat or loads of cheese.They don’t come with any sauce. The cheese version has feta-like cheese along with herbs and bouts of chilli in some cases. The crunchy pastry along with the gooey cheese is a decadent pleasure. Tajik Samsa: A Baked Non-Vegetarian Samosa! A non-veg version of our desi samosa! The laborers from India went to Africa during the British era, and hence the samosa as a dish fused with the East African culture. It is pretty similar to the Indian samosa, it just has meat along with the usual potato and peas. A Bengali take on the typical samosa! The shingara is usually eaten in Bangladesh. Its filled either with beef liver or minced meat and vegetables. Sometimes it is also filled with diced potatoes and peas. 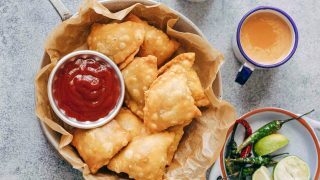 A fiery, crispy and meaty samosa! It isn’t as rich as our Indian samosa in spices. 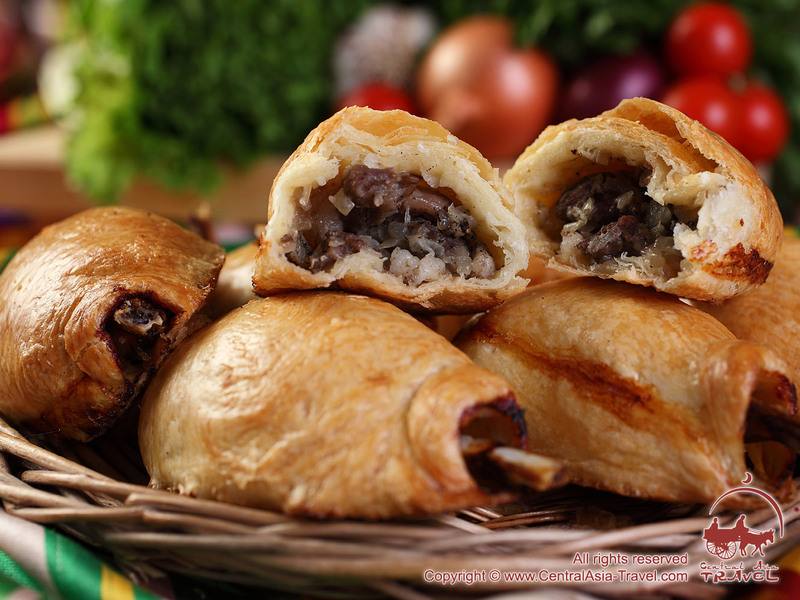 The pastry is light and thin and is filled with vegetables, minced beef, chicken or shrimp, topped with slices of egg depending on taste, before deep fried to golden color. It is served with the hot green chilli padi. Which samosa would you want to try? Previous articleHow To Really Appreciate People? Next articleAdding Fruit Seeds To Your Diet, Really? How Well Do You Know The Salami You Relish?